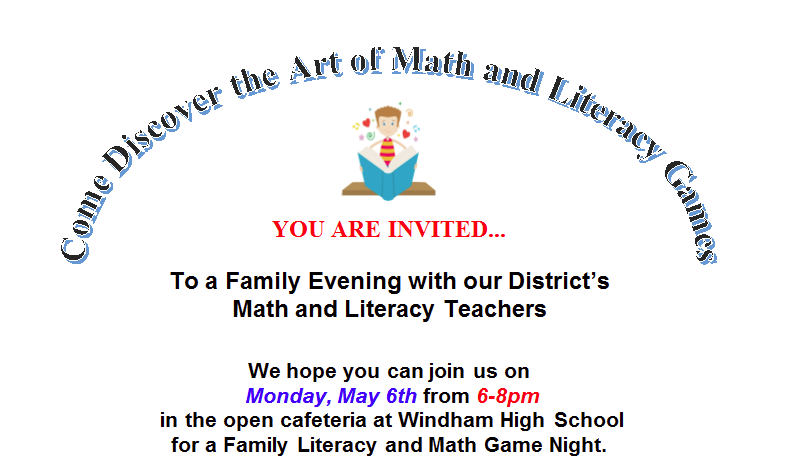 You are invited ... To a Family Evening with our District’s Math and Literacy Teachers. 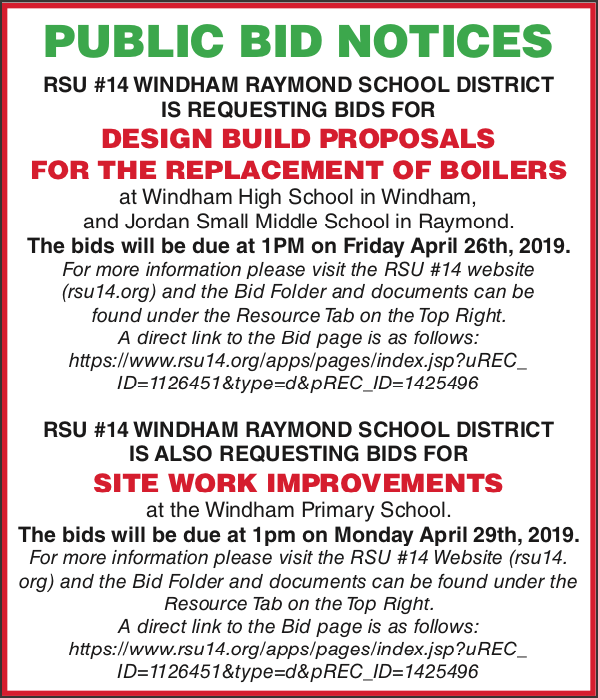 Design Build proposals for the replacement of boilers at WHS and JSMS and Site Work Improvements at WPS. 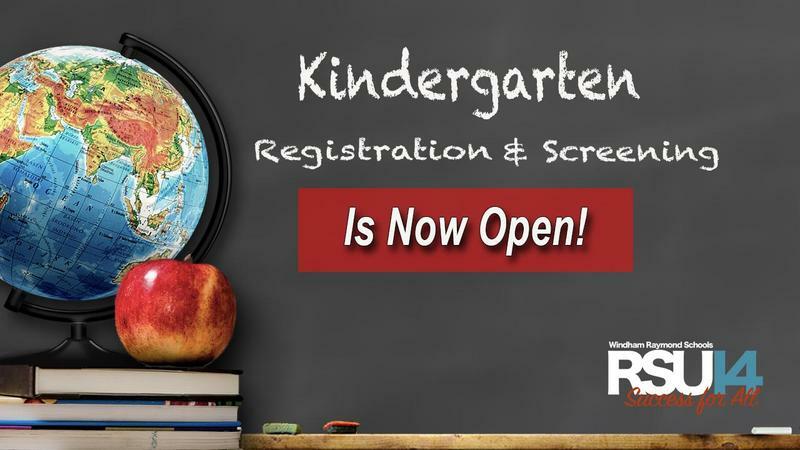 Kindergarten Registration and Screening is Open! It's time to sign up to get your new Kindergartener registered for next year's Kindergarten. 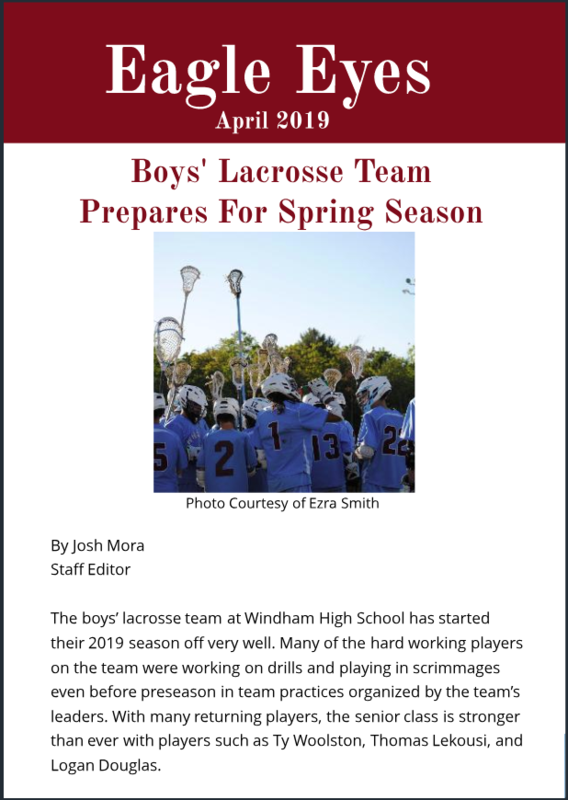 RSU 14 serves the beautiful Sebago Lakes communities of Windham and Raymond, which are located twenty minutes from Portland and thirty minutes from the cities of Lewiston/Auburn. The six schools that comprise our district are dedicated to the success of all, including the 750 staff members and the 3200 students. Our school community hires only the most committed teachers who embrace the use of technology and 21st century teaching and learning standards to ensure the highest quality education. 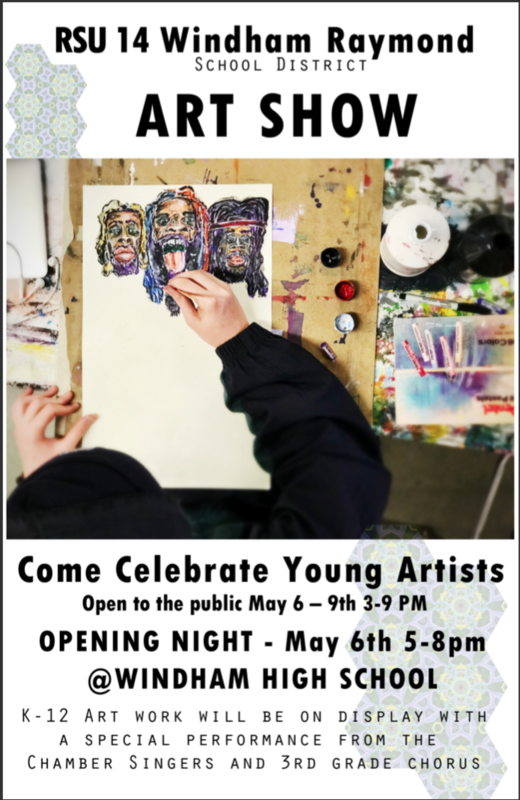 We seek to support, engage and develop high expectations for all students and staff members, and offer multiple opportunities for a rich and individualized educational experience. New and experienced teachers are provided multiple opportunities for professional growth, and partnerships with four local universities foster the belief that we are a community of learners. Consistently our students test above the state averages, exceed graduation rates and 86% of our students continue with post-secondary study.